The state of Kerala is abuzz with celebrations and gaiety, after all the grand festival is right here. Yes, Onam is here! Legend has it that this celebration marks the end of the monsoon thus making it the annual harvest period along with the return of King Mahabali to his ancient kingdom. This is a time for family get-togethers, prayers, grand feasts, songs and traditional dances, Onam or Thiruvonam shows off Kerala at its cultural best. Yet again, it’s that time of the year when the entire country gears up to savour the gourmet brilliance that bubbles in the local households of Kerala. With Onam, not only Kerala but people from across the nation save an appetite for Onam Sadhya.While one can see grand feasts organized in almost every nook and corner of ‘God’s own country’, the rest of India looks forward to going to restaurants serving special Sadhya meals. Onam starts on Atham 10-days before Thiru Onam. The Pookalam is part of traditional Onam, and each day has its significance. Earthen mounds that looks like square pyramids representing Vamana and Mahabali are placed in the courtyards in front of the house which is beautifully decorated with Onapookalam.Onasadya, to any Keralite it is a delight for their appetite. 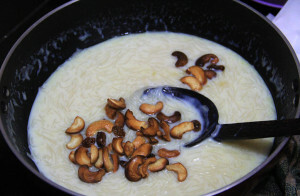 The feast is so popular,and there is an old saying in Malayalam “Kanam Vittum Onam Unnanam”, which means – One should not miss Onasadya even if he has to sell his properties.Onasadhya is a nine-course meal that consists of more than or approx. 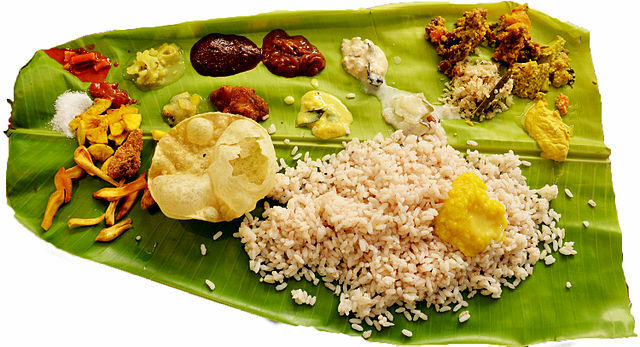 11-13 traditional Kerala dishes, including the central dish of the meal—rice, all served on banana leaves. To get a true sense of the festival, it’s really just better to experience it in person. In short, Onam is, much like India itself, a colorful kaleidoscope of moving parts.Turned one way, it’s a harvest festival. Turned again, it’s a New Year celebration.Yet again, and it’s a cultural event filled with song, food, recipes and more. Any way it’s a beautiful celebration of Keralean heritage. 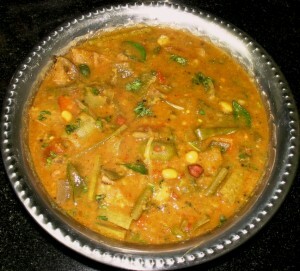 Celebrate the glory of this festive season with tangy tasty pickles, easy masalas and spices from Kitchen Treasures.